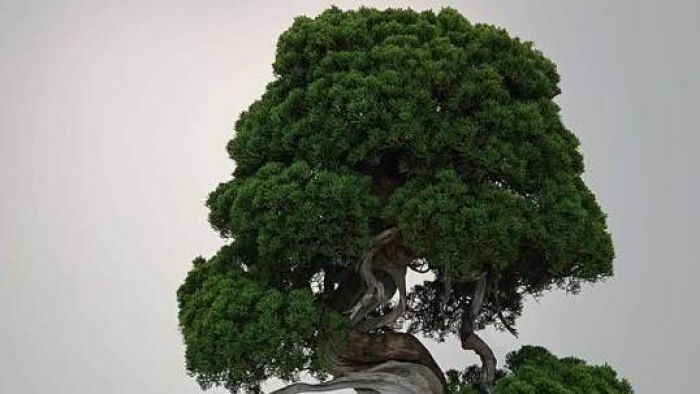 A Japanese couple has taken to social media to share detailed care instructions with the thieves they say stole seven bonsai trees from them — including one tree over 400 years old. The miniature trees, reportedly taken from a garden in the Saitama prefecture of Tokyo last month, are worth around $166,000, according to CNN. The distraught owners said they were still hopeful their “tree babies” would be returned — but implored the thieves to take proper care of them. Describing the 400-year-old Shimpaku Juniper bonsai as her “child”, Fuyumi Iimura, the wife of the bonsai master who tended to the trees, wrote: “The bonsai [I] raised like my child … are you giving [it] water properly? She told CNN the tree “needs care and can’t survive a week without water”. According to CNN, the Shimpaku tree — worth $127,700 — was slated to appear in a Japanese beauty competition this month. Ms Iimura told the publication her husband, Seiji Iimura, is a bonsai master whose family practice dates back to 1603. She explained the 400-year-old stolen tree had been taken from a mountain centuries ago by her husband’s family, who shrunk it to its current form of one metre tall and around 70 centimetres wide. “We treated these miniature trees like our children,” she said. Ms Iimura said she suspected the people behind the theft last month were professionals, as they had successfully identified the “most valuable trees” from the couple’s property, which boasts around 3,000 bonsais. She said three miniature pine trees called Goyomatsus were stolen, along with three more Shimpaku Junipers of lesser value than the couple’s rare 400-year-old specimen. The practice of bonsai requires expert care, and is considered an art form in Japan. Previous articleHas Nigeria’s President Muhammadu Buhari honoured his promises? What is Syria’s future after eight years of war? What causes two-headed animals and how common are they?